Hello, my name is Vicki Smith and I love everything real estate: the people, the houses, the research, and the negotiating. Excellence, integrity, and working hard is my philosophy and my motto. I always say “Anything worth doing is worth doing well”. It would be an honor and a privilege to be your agent for all your real estate needs. I have lived in Stafford County for 15 years as the wife of a 28 year Coast Guard veteran and mother of three children. Being the wife of a military member, you can say that I know “a thing or two” about moving and setting up roots. I understand the entire process as well as the emotions that can come along with it. As the mother of children ranging in ages from middle school through college, being involved in all their activities and being a part of several personal groups, I like to say “I get around”. You may have seen me as President of the Coast Guard Spouses’ Club, volleyball and basketball mom, swim team mom, theater mom, dance mom, Boy and Girl Scouts mom, choir mom and member, group leader, running and walking group, PTA member, or just chatting around town. I love living here and have found that Stafford County and the surrounding areas in Virginia are some of the best places to live, work, and play. This is why my family still call it home. I grew up in Virginia Beach, VA in a Marine Corps household and I graduated from college in Lynchburg, VA with a degree in Communications. My portfolio included college news and talk show host. My favorite part about my experience in mass communications was the people interest stories. Getting to know people by listening and asking what, when, where, and why thrilled me. Being a real estate agent is like being a reporter. Getting to know you and your what, your when, your where, and your why is important to me. 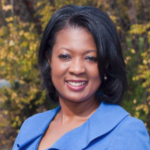 I am Vicki Smith and I am known for excellence, integrity, and dependability. It is my honor and my pleasure to be your real estate agent!